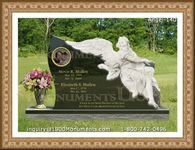 Deciding which establishment will be entrusted with carrying out the arrangements for an individual's final memorials and interment requires a bit of planning. There is a process involved in obtaining the quality and services one desires at a price that is acceptable. Finding the best funeral parlour requires a little research and comparison. Whether planning arrangements for someone who has recently passed, or making preemptive decisions for oneself, putting forth the effort to consider certain points could have big results. One should remember that not all facilities are equal. Regardless of whether options were picked from the phone book or recommended by friends, comparison is a good way to find a good home. One of the first tasks is determining if a facility is affiliated with a particular religious group or cultural designation. While most are neutral and have the ability to accommodate all requests, some are specialized. When an individual has certain spiritual beliefs or traditions they wish to observe, finding a mortuary that can honor those desires is important. Those who have chosen to be cremated may wish to deal with a business that operates their own crematorium. The primary reasoning for this would be to simplify the process by keeping the remains in the possession of only one facility. It may also help keep costs to a minimum as the same vendor will be providing all of the services. Traditional burial practices might be more efficiently handled by funerary providers that have their own burial facilities. Choosing to be interred on their site, or one with which they are affiliated, could help save money and keep things uncomplicated. 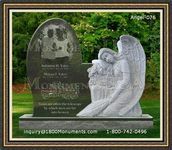 However, if an individual has a preferred cemetery, most mortuaries are willing to honor those wishes. Clients should always request an itemized listing of all goods and services the funeral parlour has offered to provide. Having these numbers in writing is key to making sure the billing is done correctly. Should an establishment try to discourage this practice or refuse to provide the documentation, one should be wary of entering into a contract with that facility.